William “Billy” Henderson, a legendary Georgia high school football coach at Clarke Central High School, died at 89 in hospice care on Wednesday. 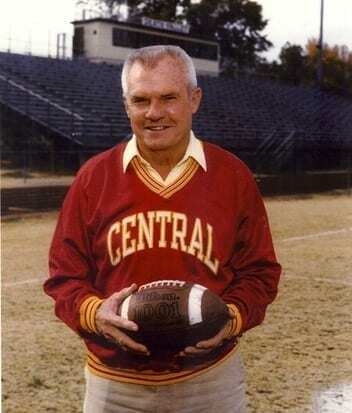 Henderson led the Clarke Central Gladiators to three state championships in his career as head coach. Henderson began his career as a head coach at Willingham High School in Macon from 1959-1969. He arrived at Clarke Central High School in 1973 and quickly became an endeared local figure. “We are all sad here at Clarke Central today because of the passing of Coach Henderson, but his legacy will live on tremendously here at Clarke Central and in the Athens community,” said Clarke Central Athletic Director, Jon Ward. Billy Henderson compiled a 222-65 winning record, won 11 region titles and 3 state titles in 35 seasons as a head coach. Henderson won 285 games in 35 seasons at Willingham and Clarke Central. His winning record put him at fifth in the state history upon his retirement in 1995. Henderson, born June 2, 1928, discovered his athletic abilities on the dusty sand lots of Macon, Georgia. He gained All-American status in football and baseball in the 1940s as an athlete at Sidney Lanier High School in Macon, Ga. He played in a 1945 national baseball all-star game coached by Ty Cobb and Babe Ruth but turned down professional baseball opportunities to play football at the University of Georgia as a halfback. Henderson coached at the collegiate level at Furman and South Carolina before becoming Willingham’s head coach in 1958. At Willingham, he was determined to better the program and promoted fitness in the community. Henderson moved to Mount de Sales, a private Catholic school in 1970. He was a football assistant coach, and head coach of the baseball team. He was named National High School Baseball Coach after leading the school to two state baseball championships. In 1973, Henderson accepted a job as head coach at Clarke Central High School in Athens, Ga. Four years after arriving at Clarke Central, the Gladiators won their first state title. He led the team to two more to state titles in 1979 and 1985. “He created a sense of unity and a sense of purpose during the 1970s here that not only existed in the school, but existed in the community as well,” said Ward. Henderson retired in 1996 due to illness. Henderson remained active in the Athens community after his retirement. He founded the Athens hall of Fame and volunteered with programs such as, The Boy Scouts, Big Brother, and the YMCA.